But this week, I’d like to bring our focus beyond the marketer, and force us to consider the impact of our ineffective advertising on the consumer. But before I dive in, let’s review a few important stats to catch up. According to a 2018 SmartInsights report, the average click-through rate across all ad formats and display ads online is just 0.05%. And according to MediaPost, 60% of mobile ad clicks are accidental. So how does this impact consumers? Given these limitations, as advertisers, we currently speak to consumers in irrelevant and slightly inconsiderate ways. Very few marketing technologies today show advertisers the websites where our ads would be relevant and helpful to viewers, and not simply annoying. When marketers don't have this information, we hap-hazardously throw ads in front of a targeted audience all over the internet. This is why we have such low click-through rates. 0.05% CTR might be disappointing for marketers, but think about it from the consumer's perspective. They don't like that the other 99.95% of ads placed in front of them are irrelevant either. In fact, it makes for a pretty bad internet experience. Consequently, we see consumers fall unhappily into one of three categories: Left-Out Larrys, Annoyed Annas, and Mistargeted Mikes. All three create frustrated consumers, but for different reasons. Larry is in the market for our blue suede shoes, but he remains untouched by our advertising efforts because our ad targeting didn't account for him. Larry's visiting websites where our ads should be, but we didn't know these sites existed - let alone how to find them. We have yet to show up along Larry's dynamic customer journey, so he settles for a less-than-optimal pair of red canvas slippers (ones he just happened to see an ad for at the right place and the right time). Larry is frustrated because he went ahead and bought that pair of red canvas shoes - and always regretted it. We never showed him an ad for the blue suede shoes he would have loved; so he never knew we existed. Anna is on our radar. She might be a current customer or just someone who’s clicked on our toothbrush ads. Regardless, she’s given us signals that she’s interested, so we go ahead and pull the lever - pummeling her with ad after ad after ad as she travels around the internet. We've not only shown up on instagram, rei.com, and target.com, we also decided to say “Hey Anna” while she was shopping for underwear online. She got the point on instagram and target.com, and now she’s kind of creeped out by us. This is because we didn’t limit our advertisements to the sites where they’re actually relevant - where Anna would expect, and even want, to see them. We paid no attention to where our online ads were placed, so images of our toothbrushes showed up in the entirely wrong context. Instead, we only cared about who we should target. And now our beloved brand will pay the price - the price of many lost customers. Because at this point, Anna is annoyed by our brand and intentionally stops buying from us. Mike’s not interested in the toilets we're selling. He’s not now, and he never has been. But for whatever reason, he gets ads for them all the time. This may have resulted from a number of causes. Maybe he accidentally clicked on one of our toilet ads. Maybe his cookie data suggests he, inaccurately, fits a certain demographic - that he’s actually a member of that 25-30 year old, recently-married audience we planned to target. Whatever the reason, he doesn’t care about our toilets, and he sees ads for them even when he’s looking into fishing trips for he and his dad, when he’s nowhere near the toilet store. So frustrated, in fact, that he’s installed ad blockers in his browser because he now only sees ads an annoyance. They’ve asked for far more than they ever offered in return, so he cut them off completely. You’ll see I’ve replaced these victims’ names with opportunity, bird-in-hand, and waste. 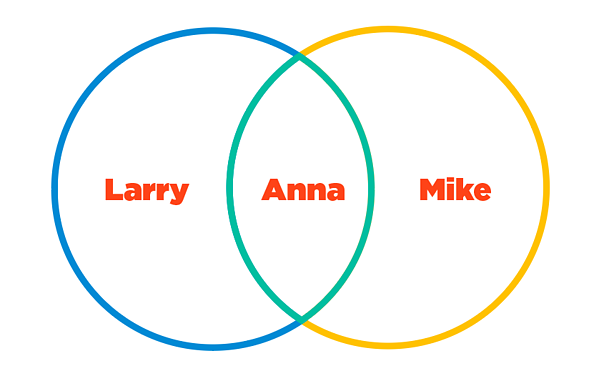 These are what Larry, Anna, and Mike represent from a marketer's perspective. Larry was an opportunity we couldn’t see. He wanted us. But because we didn't locate the right websites for our ads, and instead threw our content in front of Anna and Mike, we missed out on Larry's business. Here, we have an opportunity cost as well as the real cost of advertising for our other two targets. She originally liked our advertisements. She reacted to them. She liked us. But because we were so scared of losing her, our frequent and unnecessary ads shoved her right into the wastebasket - and she’s never coming back. We wasted our precious advertising dollars on irrelevant and annoying advertisements seen by a consumer who was not even in the market for our products. This resulted in wasted impressions that we paid for. This resulted in someone turning away from not only our brand, but a plethora of actually helpful ads that Mike has now blocked. In this digital sphere, we lacked the ability to speak to our audiences like real people - to understand when it's appropriate to ask for their business. They didn’t like that. They became annoyed, and we lost them. Visit last week's blog to see why this is so hard to get right. None of these scenarios would ever be accepted in the real world. In all of these cases, ads behave as we’ve always seen them - self-promoting, irrelevant, and most certainly not delivering any value to the task at hand. What if ads knew how to have a normal conversation? I’d argue they’d get a lot more than 5 out of 10,000 people to click on them. Most of today’s digital ads communicate like a crazy uncle of yours babbling on about a conspiracy theory he’s been “researching” for years. You never asked him about the topic, but he will without-a-doubt act like you did. At this point, you’re almost scared to even make eye contact with the guy, out of fear he’ll rope you into another intense session. He’ll mention it on the golf course, he’ll bring it up at Thanksgiving, he’ll even raise the idea to your younger cousin (who is seven). None of these circumstances are appropriate to mention conspiracy theories, but good ol’ Uncle Ramsey always finds a way to ignore common social cues. In the real world, we call people who behave like this socially awkward. But online, we call it advertising. In real-world conversations, we have social cues to inform us when it’s appropriate to bring up certain topics. We can see when someone is uninterested in our conversation, and when it’s the right context to have certain discussions. But online, the only “bathrooms” are ad-blockers and unsubscribe links. Neither of which help advertisers place our ads more appropriately. All we have are data points giving us fragments of online behavior - such as who clicked on our ads, who opened our emails, or what they clicked on our website. There are no real-time social cues. This lack of vision into the intentions of internet travelers is what allows advertisers to do such a terrible job. Continue reading about this topic here. This won’t remain the norm for long though. DemandJump’s Traffic Cloud® now shows marketers the websites, search queries, and digital locations where it’s actually relevant for you to show up as advertisements. Consider these locations the social cues that invite you to talk about your conspiracy theory, or your toilets, or your blue suede shoes. It takes sophisticated analysis to interpret these cues, these layers of data, and translate them into green lights for your ads. To uncover these insights, DemandJump’s software looks at the architecture of the internet, the links between websites, and finally uses artificial intelligence to understand the intentions of visitors when they arrive at a certain location in the network. This allows us to understand what types of advertisements are relevant to a given site, what ones will be well received given their context, and quantify the likelihood of conversions based on your ad’s placement along the dynamic customer journey. It also results in tripling return on ad spend for our clients. For a more technical discussion of today’s digital marketing landscape, check out last week’s blog. There, I detail a few reasons why digital advertisers still fail to reach the right consumer, at the right time, in the right place. If this was of interest to you, reach out and let’s chat about what recommendations the Traffic Cloud® can offer you. Until then, check out this video explaining the Dynamic Customer Journey. 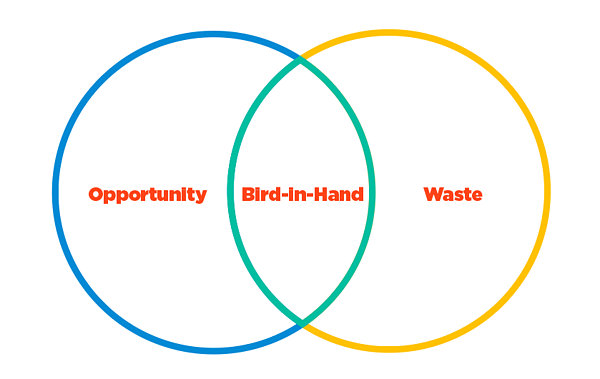 Here, you’ll see how we make our secret sauce for relevant ad delivery.